To dive back onto the Bussani Family history, we must go back to the 60’s. Albin, who was a skipper, decided to create a workshop of nautical saddlery. His son Daniel, his eldest son, leaves the conventional study tracks to attend a technical college “I was 14, and I should have been cabinetmaker” The future general manager of Aquila finally joined the family business, at barely eighteen, to quickly take on responsibilities. The cooperation between father and son lasted 24 years, but the young company manager did not forget his dream more ….” offshore”. “I always wanted to sell boats” he remembers. And he will provide himself with the resources to do so! After settling in the new port of Golfe-Juan which will soon become “Port Camille Rayon”, The Bussani saddlery workshop receives a fresh boost. It’s finally in 1999, when he’s 37 that Daniel Bussani decides to follow his dream. Without abandoning his saddlery workshop bought 10 years earlier, before the inauguration of the Port Camille Rayon, Daniel Bussani expands his office space and took out a loan to install the air -conditioning! All that remains is to find boats to sell! Though it’s far from easy to do, Daniel Bussani clears this obstacle thanks to his determination. First sale a few minutes before the close of the Cannes Boat show. It’s in 2000, at the Cannes Boat show that Daniel Bussani risked everything. He set himself the deadline of the boat show to know if he would continue in this direction. This means he needs to sell a boat. He had to wait the last hours before the closing of the show to sign his very first sales contract. 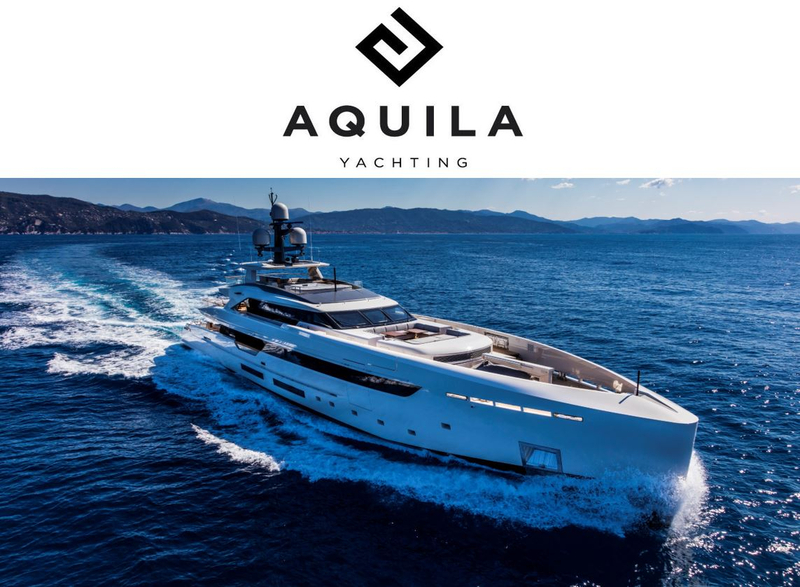 Aquila Yachting was born, managing a boat delivered in June 2001 and some chartered boats. Daniel Bussani has not forgotten the first hesitant steps to carve out a place in the yachting industry and on the Port Camille Rayon. This humility and attitude of listening to others allowed him to double the office space, offering yachts for sale, for rent, yacht management, berths …and also to play a key role in the life of the Port as he is one of the administrators. This role enables him to pass budgets, validate accounts and works and listen to the shareholder’s needs. However, the general manager of Aquila Yachting would like the port to go back to the great events of yesteryear. Like the organisation of “Yacht Master Chef” with the election of the best Chef of the fleet. This event helped publicise the port and the stakeholders but also required a significant equipment and time to its organisers. In all cases, the idea is launched.